The latest and unique mid range X6 smart phone of Nokia got enough traction in China. It has sold out several hundred thousand units in few seconds after its launch. 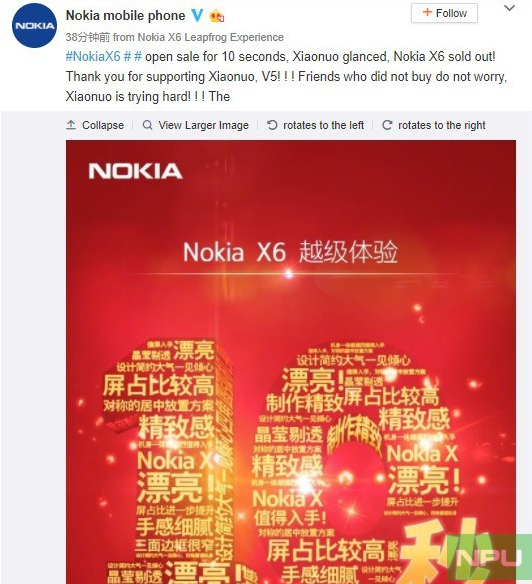 The official Weibo account (China social network) of Nokia mobile announced it through the Nokia Poweruser. You will surprised whether it is true or not or Nokia sold the large number of phones. It is easy to boast about the selling of the phones in seconds if you do not have in the first place. 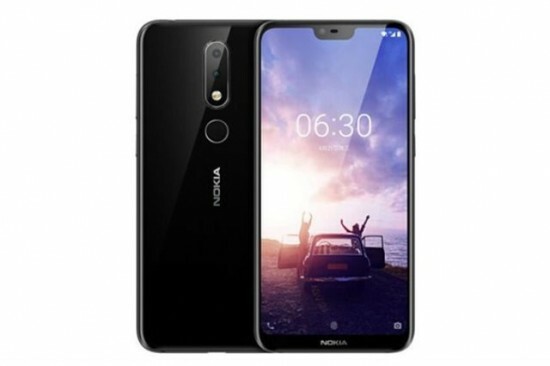 When you combine the Nokia X6 reservations at JD and Suning, the number is crossing to 700,000 and it has proved that it is not fluke. Now Nokia has made another sale for 30th May. 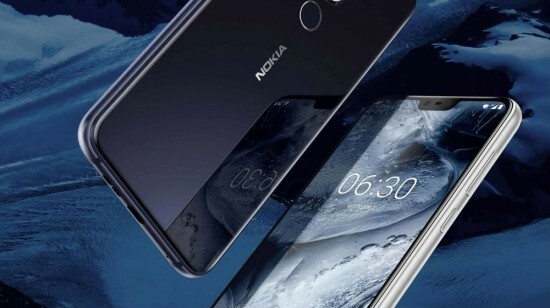 HMD Global recently held the Twitter poll by asking the users if the Nokia X6 make it to other countries. It shows that the smart phone is likely to be released across the world. Nokia has revealed the X6 in the market in China last week. The mobile phone is added with large 5.8 inch 19:9 aspect ratio display with full HD+ (2280 x 1080) resolution. This smart phone is powered by Snapdragon 636 and it has 4 GB RAM with 32/64 GB of the extended storage capacity. The handset, X6 has the dual 16 + 5 MP cameras on its back side and there is 16 MP shooter on the front side to make selfie. This smart phone is powered by 3060 mAh battery with Quick Charge 3.0 and the price of the handset is started at $200 in China.